The Comfort Inn and Suites East Greenbush-Albany hotel in Castleton, NY will get you rested and ready for anything. 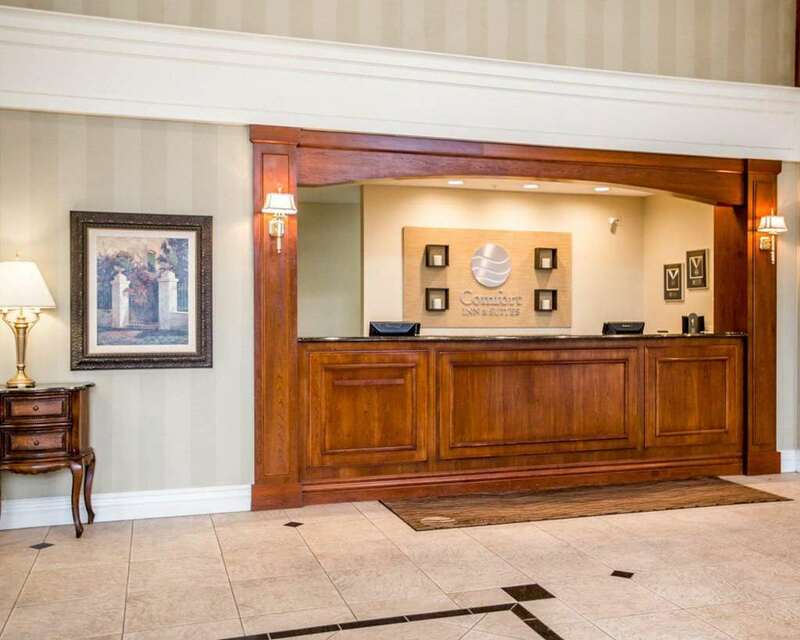 This hotel is near destinations like Times Union Square, Empire State Plaza, New York State Museum, Troy Historic District, Saratoga Race Course and Palace Theatre. Albany International Airport and Rensselaer Technology Park are also close. Enjoy amenities like free hot breakfast, free WiFi, convenience store, business center and a 300-person meeting room. Rooms come equipped with a coffee maker, hair dryer, iron and ironing board. Some rooms offer microwaves and refrigerators. Also, earn rewards including free nights and gift cards with our Choice Privileges Rewards program.